Here, the tests have tried out the different calculation modes of ReSpeedr and have come to the conclusion that ReSpeedr is a user-friendly software that produces the best results when it is filmed with a high frame rate and the steadiest camera work possible. Thanks to the various editing functions, ReSpeedr offers auto mode, fading of individual images and optical flow mode. You define the point directly on the time line, where you want to change the speed. 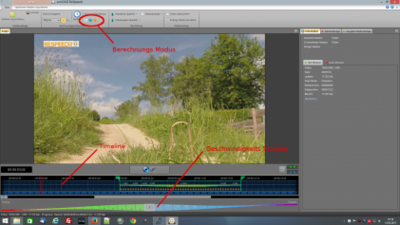 So, this is a very simple procedure, which is also easy to execute for video editing beginners. A big plus for ReSpeedr, which users have noted, is that the video is directly stabilised according to mtb-support and that there are ways to adjust the preview quality, the calculation quality and even the rolling shutter correction according to individual requirements.